Boston’s notorious mobster, James “Whitey” Bulger, was found dead at a federal prison in West Virginia. The Federal Bureau of Prisons confirmed Bulger’s death. The Bureau of Prisons stated the Federal Bureau of Investigation has stepped into the case to conduct their own investigation. The 89-year-old Bulger served as a secret FBI informant before he went on the run for 16 years. The infamous mobster’s death came just a day after he was moved to the high-security prison. TMZ is reporting, "A prison source tells us Bulger – who is wheelchair bound – was in general population Tuesday morning. We're told he was approached by 3 other inmates who wheeled him into a corner that could not be seen by surveillance cameras. Our source says the inmates beat Bulger – one used a lock in a sock as a weapon – until he was unconscious. They also attempted to gouge his eyes out with some type of shiv, but were unsuccessful. Bulger fell to the ground covered in bruises and with several dents in his head." Bulger avoided imprisonment for decades by informing for the FBI. 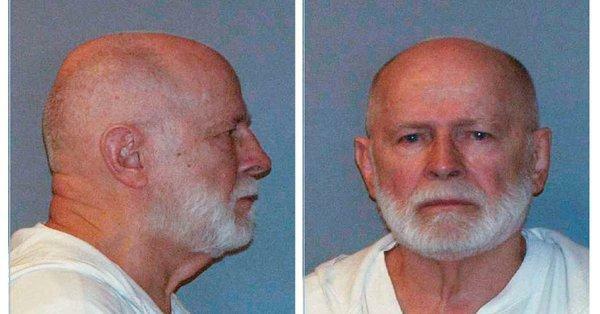 Bulger was convicted of 11 murders in August 2013. Other charges include racketeering. He was sentenced to two consecutive life terms plus five years. For 16 long years, Bulger ruthlessly avoided prison by killing potential witnesses and cultivating corrupt lawmen, while being a fugitive for that period of time. The mobster was finally captured when a tip from a former Icelandic beauty queen led to his eventual capture in June 2011 in Santa Monica, California where he was at that time living with his long-time girlfriend. Whitey gained notoriety for his illegal activities, along with his gang, Winter Hill. They had operated for more than two decades in the Irish-dominated South Boston neighborhood, with their loan sharking, gambling, extortion, drug dealing, and murder activities. They thrived in part because of the tacit approval of an FBI agent who chose to ignore the gang’s illegal doings in exchange for Bulger’s continued role of supplying information on other gangsters. Bulger was famous for his volatile temper and brutality. Prosecutors said he strangled two women with his hands, and also tortured a man for hours before ending his life by shooting him in the head with a machine gun. Various reactions and even speculations welcomed the news of Bulger’s death. Another so called coincidence? Hrmm lets see who stands to loose the most if Bulger would speak up… Mulehead Mueller perhaps? Mulehead was the AG in Boston during Bulgers informer days, and it seems odd to move the old convict unless he needed medical work or was going to spill the beans?